As growing numbers of drivers choose foreign cars over local brands, more foreign car brands are expected to sell over 10,000 units here this year, industry data showed Tuesday. The 10,000-unit mark is a standard that measures whether foreign carmakers have made a safe landing here. According to the Korea Automobile Importers and Distributors Association, six foreign carmakers -- Mercedes-Benz, BMW, Toyota, Volkswagen, Land Rover and Audi -- have each sold more than 10,000 units so far this year. With Ford and Lexus getting close to the threshold, eight carmakers seem likely to sell more than 10,000 units this year, up from seven last year. Last year, Mercedes-Benz, BMW, Toyota, Lexus, Ford, Honda and Land Rover made the list. The number of registered import cars rose 14.4 percent year-over-year to 217,868 units between January and October, data from the industry association showed, reflecting drivers’ increasing preference for foreign car brands. “The trend of drivers choosing to purchase (from) foreign carmakers will continue, because the younger generation sees cars as a (form of) property, more than a form of transportation,” said automotive professor Lee Ho-geun at Daeduk University. Between January and October, Mercedes-Benz sold 57,117 units and came in at No. 2 in terms of number of vehicles sold, while BMW sold 45,093 units -- remaining a popular choice despite the recent spate of engine fires that may have been caused by defective EGR auto parts. Retaining their ranks as the two leading foreign auto brands here, both German luxury brands surpassed the 10,000-unit mark for the ninth consecutive year. Toyota and Land Rover both made the list for two years in a row, respectively selling 13,268 units and 10,356 units in the cited period, the data showed. Since the Japanese carmaker saw a sales hike last year -- largely filling the void left by Volkswagen and Audi, which were absent from the market as a result of the emissions-fraud scandal, sometimes called “diesel-gate”-- Toyota has introduced a slew of new models this year to retain demand. 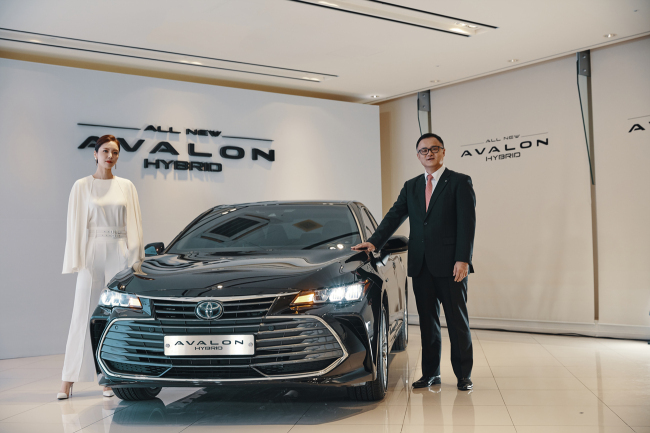 The carmaker released the fifth-generation Avalon hybrid large sedan here on Tuesday, seeking to increase sales by bolstering its hybrid lineup, which consists of the Prius C, Prius, Rav 4 and Camry. Its goals include selling 1,000 units of the Avalon hybrid annually and 350 units in presales, the company said. Last year, Toyota and Lexus combined accounted for 84 percent of the imported hybrid car market. After two years of suspended sales here as a result of “diesel-gate,” Volkswagen and Audi made a successful comeback with new models and discounts, and went on to sell 12,294 units and 11,261 units, respectively, the data showed. Honda, which sold over 10,000 units last year for the first time in nine years, saw its sales slide to 6,166 units so far this year. It seems to have been hit badly as a result of rust found on the CR-V, released in March last year, as well as on the 2017 model. Honda Korea spent 26 billion won ($ 23.1 million) to repair the affected vehicles earlier this year, the company said.